We Will Work In Your House As If It Is Our Own! Have you found water or sewage soaking your backyard? Do you keep losing hot water soon after you step into the shower? Is a leaky faucet driving you crazy? Whatever plumbing issues you may have, you can depend on the experts at Purpose Plumbing, Inc. to resolve them. We're a plumbing contractor serving residential and commercial clients in the Placentia, CA area. Our plumbing pros have the training and experience needed to handle all your plumbing problems. Call 714-353-9948 today to get a free estimate on the plumbing services you need. We are a full service plumbing company serving residential and commercial businesses. Purpose Plumbing is available to you, whether you need routine maintenance or are experiencing a plumbing emergency. No job is too big or too small for us. We will customize our work depending on your specific needs. If you need plumbing repair or installation services, don't wait any longer to get them. 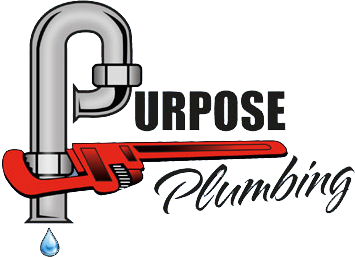 Set up a service appointment with Purpose Plumbing right now. Experienced-Our company has been in business since 2016, but our owner has over a decade of experience in the industry. Reliable-You can depend on us to resolve your plumbing problems quickly and leave the area clean when we finish the job. Honest-At Purpose Plumbing, we treat every client like a member of our family, treating everyone with the respect they deserve. Get plumbing services from a plumbing contractor you can trust-reach out to the professionals at Purpose Plumbing today.